Just around six months ago, Chennai was gradually tottering back after the devastating floods. Water levels had just receded, electricity came back on and cars began speeding on the roads again. But even as people shifted back to normalcy in daily life, talks were abuzz about another important shift that was required — one towards a more sustainable and environmentally conscious way of life. While urban sprawl, shrinking water bodies and unauthorized construction have been widely blamed for the disaster Chennai faced, the broader factor that was discussed was human-induced climate change. 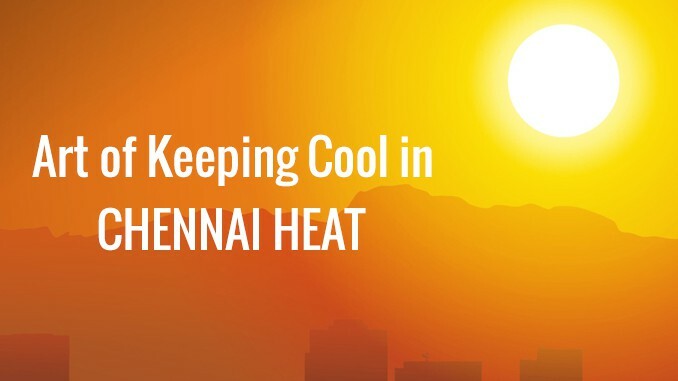 Increasing temperature in urban areas and high consumption of energy are rampant in cities like Chennai. But though hotter summers may be a common lament, conscious attempts to work towards changing it still remains uncommon. The past few decades in Chennai have seen increasing usage of materials unsuitable to local climate. Many public and commercial buildings have vast glass facades, and then cool down the inner temperature with air conditioning. Today, it is far easier to spend your day in an AC room than make attempts to cut down the amount of heat entering the building, easier to use a sealed private vehicle than brave the heat in a bus or a train. Since artificial cooling has become such an integral part of daily comfort, natural ventilation has taken a backseat. It has become almost inconsequential to worry about building orientation and wind direction, and we have reached a stage when we are barely aware of the direction which our houses face. Balconies provided are small and unused, cross ventilation is blocked by neighbouring walls and sun-shading devices are not adequate. Domestic consumption of electricity is on the rise and Tamil Nadu was the third highest among states in terms of per capita power consumption, according to a study by Chennai-based firm Athena Infonomics India. Although high numbers could indicate an improved standard of living on the positive side, the disproportionate power consumption too often tips the balance, with large energy guzzling buildings consuming much more power than necessary. Buildings which are being designed from scratch need to have a clear idea of the local conditions and pay attention to basic orientation, by providing living spaces on the northern and eastern walls and protecting the western and southern sides with insulation and shading. Responding to local climate can reduce indoor temperatures to a significant degree. Deep verandas, cavity walls and an internal courtyard keep the palathope house around 2 and a half degrees cooler than the outside (1)Besides orientation, using appropriate materials that have a thermal capacity suitable to the local climate is a starting point in reducing indoor temperature. In 12 Palathope Street, an environmentally designed house in the densely-built urban area of Mylapore, indoor temperatures are around 2.5 degrees lesser than outside. A courtyard inside the house helps in drawing in the hot air and pushing it upwards, maintaining a healthy cross ventilation and cooler air circulation at the lower levels. Both the walls and the roof use a hollow block system, where there is a cavity of air between two layers of solid material. Air is a poor conductor of heat, and hence helps in slower transmission of heat inside. Using other materials with low conductivity help in cooling the insides of the house. The system applies to the roof as well. 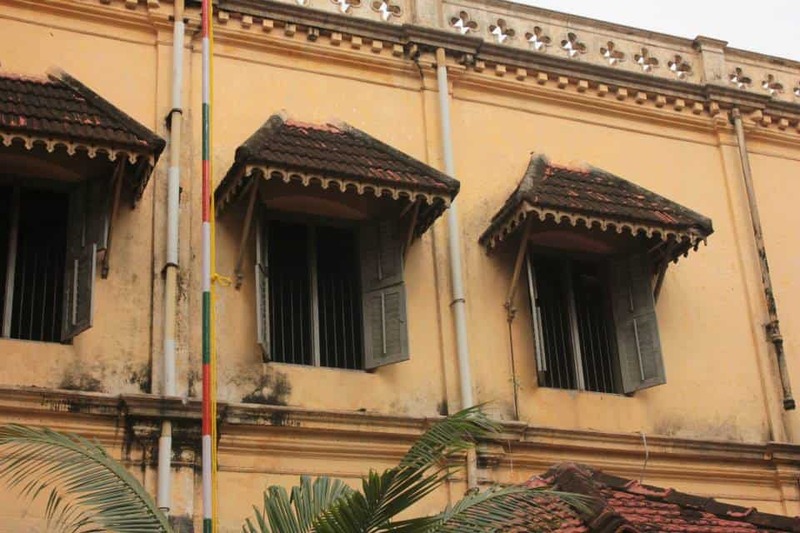 The Madras Terrace Roof was widely used in Tamil Nadu where its multiple layers prevented the heat from entering the insides of the house. Alternatively, using a layer of cladding tiles with lower thermal capacity, available in the market, helps in cooling. Coloured oxide floorings, such as the popular red-oxide flooring fell from its glory a couple of decades back, but had the ability to cool down the house. Another flooring system that sustainable architects try to use is Athangudi Tiles, that were traditionally used in places like Chettinad. Production of these tiles requires more craftsmanship and time, and they are hence more costly, which is why they became scarce over time. But with increased demand and usage there could be a possibility of increasing the supply and reduction of cost. Monkey topsShading is integral to cooling, and has always been a part of sustainable design techniques. Deep verandas cut off the direct rays of the sun and form a buffer between the inside and the outside. Sunshades on windows also help in cutting sunlight. 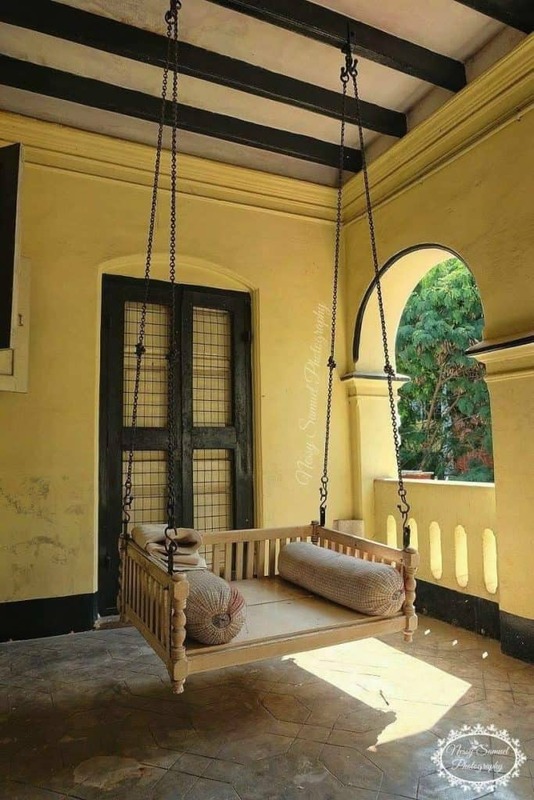 Vertical alternatives to sunshades that were common in traditional Indian architecture are Jaali walls or lattice screens, that allowed ventilation and light while cutting off heat. Modern adaptations of these, for example louvers or perforated sheets, installed outside window openings fulfil a similar function. Shading devices such as louvers, screens or bamboo blinds, canopies and awnings reduce the amount and intensity of sunlight entering the house. In the Palathope Street house too, louvers are used outside all the openings as effective shading devices, along with full height bamboo thattis (mats) around the courtyards. Blinds made of bamboo or vetiver/khus khus in place of curtains and in balconies can also help in shading and cooling. Verandah Designing and moving to courtyard-houses may not be a possibility for all. However, consideration of some these factors while designing new apartments and houses, or even adapting them for existing houses, could reduce, if not entirely do away with, the usage of ACs. More and more modern apartments have now started using ACs in living rooms and dining rooms. Since these rooms are usually not closed, cooling is far more energy consuming. Using an AC in the warmest parts of the house not only increases the load on the AC but also results in hefty electricity bills. Changing the utility or usage of the room based on its comfort level could be more sustainable in the long run, for example, using the coolest parts of the house as living and sleeping spaces in the summer, avoiding the hottest parts on the western and southern sides instead of trying to artificially cool them. For rooms on the upper-most floor, having a green cover on the roof with a terrace garden, and using cooling tiles like terracotta or special therma tiles can help in cooling down the rooms. Using sun-reflective paint, or trying out less expensive methods of whitewashing roofs can also help this cause. Indoors, using LED lights instead of incandescent lights can also cut down the heat emitted inside the house. Methods to cut down temperature and still save energy can even be as simple as placing a bowl of ice in front of a table fan, or sprinkling water on mats of vetiver or bamboo placed on windows through which there is an incoming breeze. 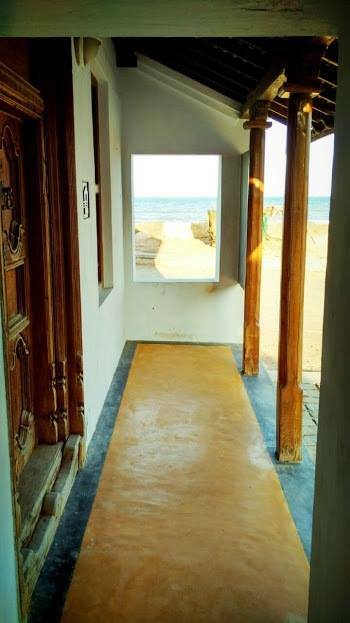 The sea-breeze is still a quintessential part of Chennai, and though it may not reach the interiors of houses in urban neighbourhoods, terraces, balconies and other open spaces still feel the effect of sea breeze. Using these spaces in the evenings could achieve two things — the experience of healthy, outdoor air as well as avoidance of high electricity usage. Very nice presentation about heat preventing factors for a house.Nice photos reminding of childhood cool memories.